It's just an hour. An hour that can throw a healthy sleeper’s Circadian rhythm out of whack. On Sunday, March 11 (at 2 a.m. to be exact), it’s time to push our clocks up an hour, so that it will actually be 3 a.m. It’s a seemingly minor transition, but one that has long attracted controversy. A 2012 survey by Rasmussen Reports found that as many as 40 percent of Americans were in favor of eliminating Daylight Saving Time, and over the years, certain cities, such as Alberta, Canada, have lobbied to scrap it. Hey, it’s just an hour, what’s the big deal? 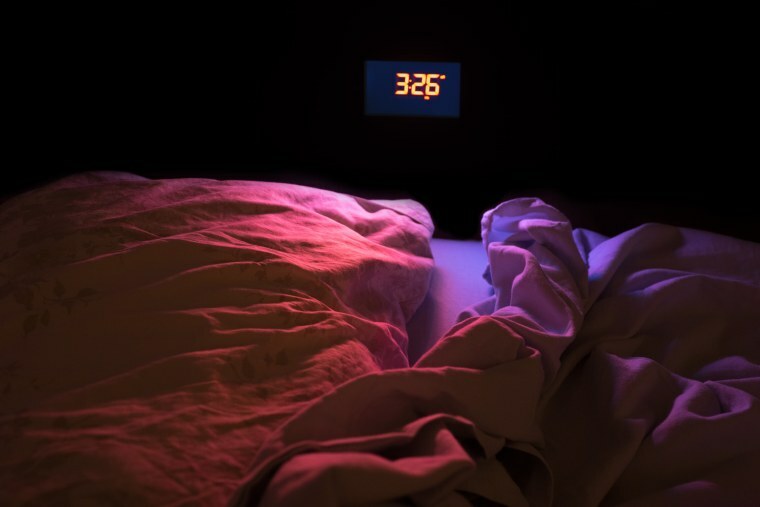 Well, any of us who has dealt with insomnia or poor sleep can vouch for how valuable that hour can be, and even one hour’s loss can throw a healthy sleeper’s Circadian rhythm out of whack. What can we do to prepare for the change, and acclimate quickly? We consulted sleep experts to build a plan. One of the biggest hurdles round DST for me isn’t the loss of the hour itself (though that is definitely tough), but the anxiety of knowing I’m losing (or have lost) an hour. Often I can’t sleep well the Saturday before as I wait in dread to see 2 a.m. become 3 a.m., and then on Sunday I feel scatterbrained and nervous about starting a new week. Dr. Shilpi Agarwal, a family medicine physician, recommends planning something exciting such as a vacation and to think about this at night when our anxiety tends to flare up. “Getting excited is the best way to artificially boost feel-good chemicals to go to bed without anxiety,” she says, while Chris Brantner, a certified sleep science coach at SleepZoo suggests making a to-do list for the following Monday before going to bed on Sunday night. “Research shows that this can help you offload worries of the next day, which can help reduce the anxiety that often comes with Mondays, thereby helping you get to sleep more easily,” says Bratner. A tactic that Agarwal swears by not only for her patients, but also for herself, is setting an alarm that tells you when it’s time for bed. The blue light emitted from screens is infamously bad for sleep hygiene as it can throw off our Circadian rhythm. Agarwal recommends turning smartphones and TVs off even earlier than normal (by a half hour or so) in the days leading up to the time change. The trick here is to try and fall asleep ahead of schedule so that you can make up for that lost hour in advance. Brantner recommends doing something relaxing instead like yoga poses or reading a book. “Anything that calms you down,” he says. 5. No caffeine after 12 p.m.
You may be extra hungry for some less than healthy foods this coming Sunday and Monday. That’s because, as Agarwal puts it “no matter how you cut it, this time shift is harsh, and you will probably feel tired.” And when we’re tired, our appetites tend to change. We’re likely to crave carbs and sugars to give us the zing we’re lacking. “These foods can quickly give us energy but they’ll likely cause you to crash earlier in the day. Stick to a protein-heavy breakfast and lighter meals the rest of the day,” advises Brantner. But what if Monday comes and you’re completely exhausted at your desk and barely half way through the day? Wouldn’t a latte help you make it? Yes, but not for long. Think a glass of wine after dinner will help you fall asleep easier? It just might, but it could make the rest of your sleep cycle a nightmare. The Monday after the DST switch has been coined National Napping Day for obvious reasons. We’re just desperate to nab that hour back, but unless you’re doing your routine power nap, you should avoid napping this coming week. Research also shows that adding exercise — even a short walk or climb up some stairs in your building — can help give you a little boost of energy during the workday. Agarwal notes that even if you implement all the above, it may take up to a week for you to fully adjust. If you’re feeling really sluggish on Monday, take the opportunity to get some less mentally strenuous work done. You may also want to consider using this time change as a means to acknowledge and repair poor sleeping habits. “Springing forward may really throw us for a loop because we're already sleep deprived,” asserts Brantner. Indeed the average American only gets about six and a half hours of sleep per night — less than the National Sleep Foundation’s recommended 7 to 9 hours. Chronic sleep deprivation can contribute to a number of health problems, so we may want to keep these sleep tips handy every day of the year. CORRECTION (March 10, 2018, 11:30 P.M. ET): A previous version of this article misspelled, on second reference, the last names of two experts. They are Dr. Shilpi Agarwal, not Agrwal, and Chris Brantner, not Bratner.